New Delhi: Ace shuttler Saina Nehwal with Thai badminton player Ratchanok Intanon after winning the women's singles title of the India Open Superseries at the Siri Fort Sports Complex in New Delhi, on March 29, 2015. 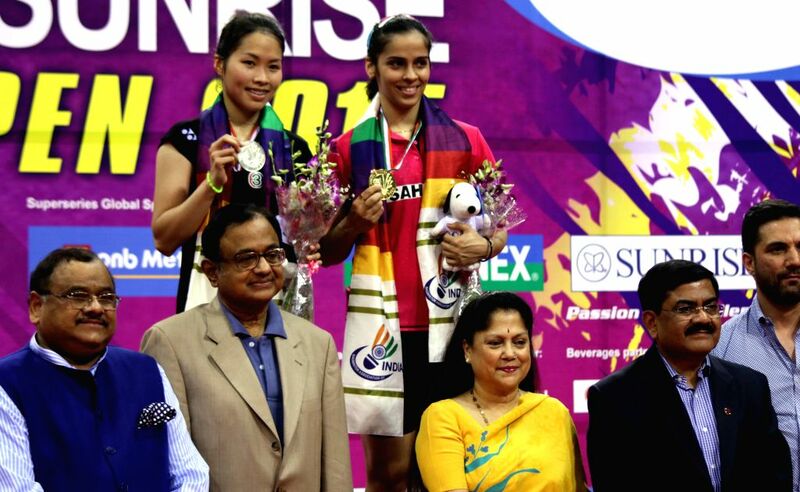 Ace shuttler Saina Nehwal with Thai badminton player Ratchanok Intanon after winning the women's singles title of the India Open Superseries at the Siri Fort Sports Complex in New Delhi, on March 29, 2015. Also seen Congress leader P. Chidambaram.